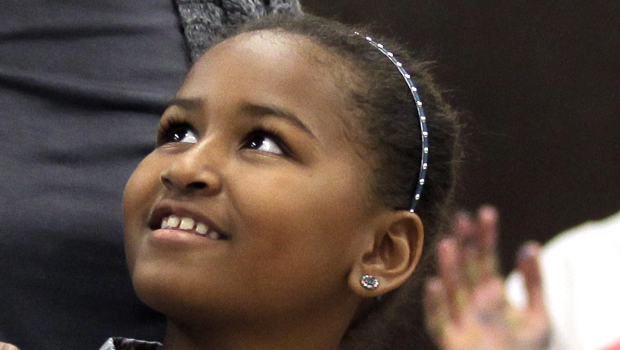 (CBS) President Barack Obama's daughter Sasha, 9, is learning Chinese in school. And like any encouraging dad, the president helped her find opportunities to hone her skills. This week, the 9-year-old had the chance to practice her phrases with Hu Jintao, the Chinese president. According to Reuters, a White House official disclose d the language "practice" on Thursday after a formal state dinner in Hu's honor. Ben Rhodes, a White House deputy national security adviser, noted President Obama has said his daughter was studying Chinese in her class. "She's under 10 years old and they're studying Chinese, and she wanted to have the chance to practice her Chinese with President Hu," Rhodes said. Sasha attended Hu's welcoming ceremony Wednesday on the White House lawn and was able to speak with the state visitor. Rhodes said, "Not every (child) has the opportunity to try out their first phrases of Chinese with the president of China, but she had that chance."